We provide service packages based on your needs. 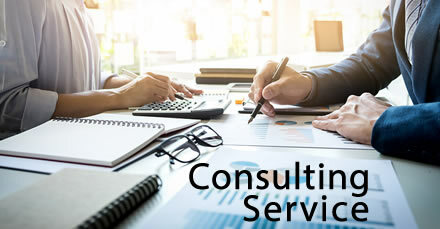 We have a highly trained team of expert consultants in technical and functional analysis, which allows us to provide you with the appropriate advice in the case that we do so. Our way of working leads us to sit down at your side, in a proactive way, to advise you on the possible real solutions to your technological problems. We get involved in your problem, trying to recommend the best solutions at the lowest cost taking into account their temporal evolution, and we retire when we stop providing added value. Our interventions are punctual and effective, backed by experiences in companies of all kinds, both national and international, and, if you need it, we integrate into your team and direct your projects. We evaluate the security of the same, the installation procedures, the architecture on which it is mounted, the plans and processes of regular maintenance, the management of reported incidents, etc. •	Staff of advisors specialized in various technological aspects. We have the necessary experience to help you carry out a computer project in all and any of its phases or stages (survey, analysis, design, development, quality control, production, monitoring and audit, maintenance). A good implementation, management and planning of investments in software and infrastructure is vital for the viability of your business. When you start up a service, the level of load that it will support will grow in a linear way and, in the best of cases, exponentially. You must gradually dose the investments, without forgetting in any case the capacity for technological growth and financial considerations. We can help you by proposing low cost and high reliability solutions from the beginning and then grow with your business. Our tools: Structured and agile methodologies, UML design. Application of design patterns, object-oriented design, content management, network infrastructures, code repository, contingency plan. We have a team of professionals specialized in the process of developing custom software applications for projects with an open budget and also turnkey. We have a multidisciplinary team that ranges from graphic designers (used in a mobile application or Web), to software architects, to programmers, database administrators, testers and any other profile required when it comes to do a professional development. 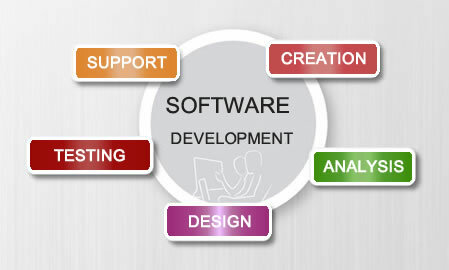 We develop both standard and customized systems, on Windows, Web and Mobile platforms. We are experts in .NET technologies, having been Microsoft Partners desde hace más de 10 años. for more than 10 years. However, we have mastered many Open Source tools: PHP (several frameworks), Python, Phonegap, Node JS . We are used to working with relationships or hierarchical databases (NoSQL): SQL Server, Oracle, MySQL, PostgreSQL, MongoDB, Fireworks. Manejamos múltiples frameworks y tecnologías complementarias: Bootstrap, Knockout, Angular, Vue.js, WebApi, Typescript, Json, Ajax, SOAP, REST, etc., etc. There is a big difference between a 'solution' and a 'well-created solution'. We put at your disposal the experience of having launched dozens of real projects in areas such as: Telecommunications, Banking and Insurance, Public Administration, Media, Industry, Commerce, etc. Are you sure that your solutions are well designed and that they will be easily scalable and maintainable? Do not forget that 80% of the cost of a development is its maintenance. Identifying a design error in a complex application can be very expensive and even more to solve it.Contact us and we will help you not to make mistakes or to solve the ones you already have. Are you sure that your systems have enough documentation to be able to react to a possible problem? We offer you an audit and technical assistance service, practical and concise, where we verify if you have enough elements to guarantee the continuity of your business in case of any contingency. In case you do not have these elements, we offer to create them without your team stopping your daily activity. We are that Working Group that enters into your projects to complement the work of your team without delaying the development.